NEW YORK, NY--(Marketwired - March 14, 2016) - Americas Society presented its Cultural Achievement Award to Venezuelan conductor Gustavo Dudamel for his many outstanding artistic and humanitarian accomplishments. One of the most celebrated conductors of his generation, Dudamel, 35, is the music and artistic director of the Los Angeles Philharmonic and music director of the Simón Bolívar Symphony Orchestra of Venezuela. As a humanitarian, he is globally recognized for his dedication and commitment to transform the lives of thousands of young people by sparking in them a passion for music. Dudamel received the Cultural Achievement Award at a special ceremony on Saturday, March 12, that brought together more than one hundred guests at the Society's landmark building in New York. The evening featured a conversation between Dudamel and journalist and producer Magalie Laguerre-Wilkinson. "Maestro Gustavo Dudamel is a towering cultural figure in modern Latin America," said Americas Society and Council of the Americas President and CEO Susan Segal. "He brings together in one person extraordinary musical talent, a passion for education, and a new vision for achievement and advancement that have touched the lives of thousands of young people around the world. He fully embodies the values that the Americas Society Cultural Achievement Award seeks to recognize, and we are very proud to have the opportunity to recognize him in this manner." "On behalf of all the people who believe and engage in the vision that music and the arts can be a vehicle for social change, I am very honored to accept this award and wish to thank the Americas Society and its president, Susan Segal. In our extremely complex world, it is my hope that music will continue to inspire and heal people. This has been and remains my goal," said Dudamel. Read Gustavo Dudamel's March 12 remarks here. While his commitment to the Los Angeles Philharmonic and the Simón Bolívar Symphony Orchestra of Venezuela accounts for the majority of his yearly schedule, Dudamel also guest conducts with some of the world's greatest musical institutions, including the Vienna Philharmonic and the Berlin Philharmonic. As music director for seventeen years of Venezuela's El Sistema music education program, he continues to lead the Simón Bolívar Symphony Orchestra in his native country, as well as on tour around the globe. His initiatives in Venezuela serve as the cornerstone of his work with young people, and he steadfastly commits some twenty-five weeks of his annual schedule to El Sistema orchestras and youth, both in Caracas and around the country. Under Dudamel's leadership, the Los Angeles Philharmonic has expanded and diversified its outreach through many notable projects, including Youth Orchestra LA (YOLA), a project that brings music to the young people in the underserved communities of Los Angeles and serves as an inspiration for similar efforts throughout the rest of the United States as well as in Europe. On February 7, YOLA, led by Dudamel, performed to praise and applause during the half time show at the Pro Football Championship game. Recent distinctions Dudamel has received include: the 2014 Leonard Bernstein Lifetime Achievement Award for the Elevation of Music in Society from Bard College's Longy School of Music; Musical America's 2013 Musician of the Year award; the 2010 Eugene McDermott Award in the Arts at MIT; induction into Gramophone Hall of Fame in 2013 and into the l'Ordre des Arts et des Lettres as a Chevalier in 2009; a spot on the 2009 TIME 100 List of the world's most influential people; the 2008 Q Prize from the Harvard School of Public Health; as well as several honorary degrees. 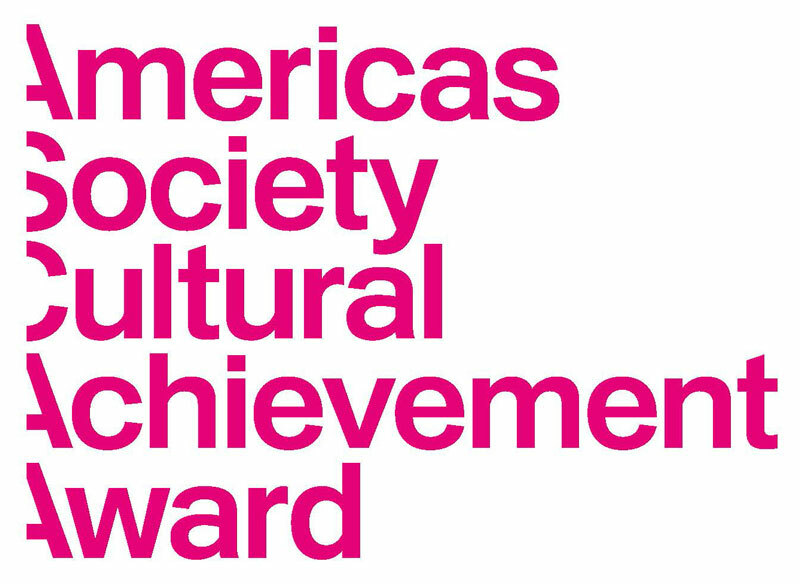 Proceeds from the Americas Society Cultural Achievement Award dinner and ceremony will go toward fulfilling Americas Society's mission to promote the visual arts, music, and literature of the Americas to a diverse audience in the United States. Mexican artist Gabriel Orozco received the inaugural Cultural Achievement Award in 2014.